This Declaration is made on this 5th day of December, 2002,by the Village of HORTONVILLE, Wisconsin, a municipal corporation. NOW THEREFORE, the Village of Hortonville, Wisconsin hereby declares that the property described in Exhibit “A” attached hereto will be held, sold and conveyed subject to the covenants, conditions, restrictions and easements set forth herein, all of which are for the purpose of protecting the desirability of the Hortonville Business and Industrial Park Phase II, and will run with the Property and be binding upon all persons, having any right, title or interest therein, or in any part thereof, and their respective heirs, successors and assigns; and which will in turn benefit the Village of Hortonville, Wisconsin. Unless the context otherwise specifies or requires, each term defined in this Article I shall, for all purposes of this Declaration, have the meaning herein respectively specified. A. COVENANTS: The term “Covenants” shall mean the restrictive covenants set forth in this Declaration, as it may be from time to time amended or supplemented. B. DECLARATION: The term “Declaration” shall mean this Declaration of Restrictive Covenants for BUSINESS AND INDUSTRIAL PARK, Hortonville, Wisconsin. C. DEVELOPED SITE: The term “Developed Site” shall mean a site upon which permanent buildings necessary for the actual operation of an industrial or commercial enterprise have been completed. D. BUSINESS AND INDUSTRIAL PARK: The term “Business and Industrial Park” shall mean the real property known as Hortonville Business and Industrial Park Phase II described on Exhibit “A” attached hereto. E. IMPROVEMENTS: The term “Improvements” shall mean buildings, outbuildings, underground installations, slope alterations, roads, driveways, parking areas, fences, screening walls and barriers, retaining walls, stairs, decks, windbreaks, plantings, planted trees and shrubs, poles, signs, loading areas and all other structures or landscaping improvements of every type and kind. F. LESSEE: The term “Lessee” shall mean the owner of a leasehold interest in a part or all of the Business and Industrial Park. G. LICENSEE: The term “Licensee” shall mean any person or entity having any right or rights in respect to a part of the Business and Industrial Park pursuant to an agreement or covenant duly granted by the Property Owner of such part of the Business and Industrial Park. H. OWNER: The term “Owner” shall mean the recorded legal or beneficial Owner, whether one or more persons, or title holder to any building site located in any part of the Business and Industrial Park. I. SITE: The term “Site” shall mean all contiguous land in the Business and Industrial Park under one common ownership which has been, will or can ultimately be developed by an owner, with a building or buildings and appurtenant structures. J. OUTLOTS: The Village will retain ownership of Outlot 1 on the western side of the Business and Industrial Park. The Village may develop this land in the manner the Village deems reasonable. The Village of Hortonville, Wisconsin, owner of all land within the Business and Industrial Park more particularly described in Exhibit “A” attached hereto and made a part thereof, hereby declares that the Business and Industrial Park, and every part thereof now owned or hereafter acquired, is and will be owned (legally and beneficially); leased, or otherwise occupied; conveyed; encumbered or otherwise transferred; developed; improved; built upon or otherwise used are subject to all provisions of this Declaration. All of these covenants shall run with the land and every part thereof for all purposes, and shall be binding upon and inure to the benefit of the Village of Hortonville, and all owners, Lessees and Licensees, and their successors in interest as set forth in this Declaration. These covenants shall encumber the entire Business and Industrial Park whether or not contained in any conveyance of property within said park, and they shall not be extinguished as to any property therein by foreclosure, execution, sale, or tax sale. A. BUILDING SETBACKS: The following yard or building setback requirements shall apply to all parcels that are located within the property. 1. All buildings shall have a front setback minimum of forty (40) feet from parcel lines abutting any public street. 2. All buildings shall have a side yard setback minimum of twenty (20) feet from any parcel line shared in common with another parcel owner within the Property and which joins a parcel line abutting a public street (“Side Yard Line”). 3. All buildings that are located on parcels that abut the western property line of the Business and Industrial Park shall have a sixty-five (65) foot rear yard setback minimum. The set- back shall include the fifty (50) foot wide Village owned Outlot 1 and a fifteen (15) foot setback from said Outlot 1. No building or improvements shall be constructed on Outlot 1 except as authorized by the Village. 4. All buildings that are located on parcels that abut the eastern property line of the industrial park shall have a forty (40) foot rear yard setback minimum. The setback shall include the fifteen (15) foot wide landscape, drainage and utility easement. No building or improvements shall be constructed on said fifteen (15) foot wide landscape, drainage and utility easement except as authorized by the Village. B. MINIMUM CONSTRUCTION COST: The minimum construction cost for principal structures shall be $125,000 per acre exclusive of site, utility, and landscaping cost. This value shall be reviewed and revised at least every three (3) years by the Village which shall reference current building costs as provided by the Fox Cities Chamber of Commerce Inc.
C. BUILDING MATERIALS: The exterior walls of each building shall be constructed of durable, permanent architectural materials that are compatible with park-like standards. The front façade and street side facades shall incorporate brick, stone, architectural block, architectural concrete panels, architectural metal, architectural wood and/or glass into their design. Front façade materials shall be continued for not less than twenty (20) feet on each side from the front surface. Unfaced concrete block, structural concrete and the like shall not be permitted without prior written approval of the Village. Pole buildings or similar structures will be discouraged in order to maximize the aesthetics of the Business and Industrial Park. Except as otherwise provided herein, the sides and rear of all buildings shall be finished in an attractive manner in keeping with the accepted standards used for industrial buildings subject to the approval of the Village. Buildings must be kept in good repair and appearance at all times. Buildings must be of approved construction in conformity with all applicable building codes. Buildings shall not exceed thirty-five (35) feet in height except upon written approval of the Village. D. BUILDING ROOFS: Building roofs shall be earth-tone color. E. BUILDING ELEVATIONS: All elevations of the building shall be designed in a consistent and coherent architectural manner. Changes in material, color and/or texture shall occur at points relating to the massing and overall design concept of the building. F. BUILDING LOCATION: All buildings shall be sited on the lot to present their most desirable face to the street and, where possible, should be related to buildings on adjoining lots. G. HVAC UNITS AND MISCELLANEOUS EQUIPMENT: Cooling towers, rooftop and ground mounted mechanical and electrical units and other miscellaneous equipment shall either be integrated into the design of the building or screened from view. H. PARKING: All employee and visitor parking shall be provided on-site. Parking shall not be permitted on any public street or access drive. Property owners shall provide parking as required by the Village Zoning Ordinance. Parking areas shall be located at least twenty (20) feet from each parcel line abutting a public street and ten (10) feet from any other parcel line. All parking areas and driveways shall be hard surface paved, dust-free and properly marked. All paving must be completed within fifteen (15) months of building completion. I. LANDSCAPING: All unimproved areas shall be landscaped with a combination of deciduous canopy trees, shrubbery and ground cover. At least one tree at least six (6) feet in height for each seventy-five (75) feet of street frontage shall be planted in the setback area. Outlot 1 shall be a minimum of fifty (50) feet wide and planted with plant materials at least six (6) feet in height of such variety and growth habits as to provide a year-round, effective screen. Outlot 1 shall be owned and maintained by the Village of Hortonville. All off-street parking areas that serve twenty (20) vehicles or more shall be provided with landscape areas totaling not less than five (5) percent of the surfaced area. All landscaping shall be completed within ninety (90) days of issuance of a certificate of occupancy or final inspection allowing occupation and use of such property by the Village. In the event this is not feasible, landscaping shall commence at the next growing season. All grass, trees and shrubbery shall be kept in good appearance at all times. If the grass is not cut, or trees and shrubbery not properly maintained, the Village may serve notice, and if not complied with within ten (10) calendar days, the Village is hereby granted and shall have the right, privilege and license to enter upon the affected property and make any and all corrections or improvements in landscaping and maintenance at the expense of the Owner, Lessee or Licensee. In addition, a landscaping easement exists along the northern boundary of the Business and Industrial Park II where it meets with the southern boundary of the McNichols property. The trees within said easement must remain undisturbed and cannot be removed by the property's owner. Should a tree be lost for any reason it shall be the responsibility of the property owner to replace said tree with a similar tree of no less than six (6) to eight (8) feet in height. This landscaping easement shall be clearly shown/delineated on any Certified Survey Map (CSM) resulting from the sale of this property. a. No billboard or advertising media such as signs, shades, awnings, searchlights, loudspeakers, amplifiers or similar devices shall be permitted other than signs identifying the name, business and products of the person or firm occupying the premises, and those directing visitors and offering the premises for sale or lease. Signs shall be incorporated into the landscape plan. Maximum overall size shall not exceed five (5) feet in height or fifty (50) square feet in area for one side. The Village shall approve the style of all permitted signs. b. Sign locations shall be governed by the setback requirements unless written permission is given by the Planning & Zoning Commission for a non-conforming location. c. Permitted signs and identifying markings on buildings or building sites shall only be of such size, design and color as specifically approved by the Village. K. TEMPORARY BUILDINGS: No building or structure of a temporary character shall be used on any lot at any time except for a construction trailer during the period of construction. L. FENCING: Fences shall require prior written consent of the Village. Screening of service, storage or rubbish areas may be required by the Village. a. No loading doors or docks shall be constructed facing on any public street or highway; provided, however, this restriction may be modified or waived in writing by the Village of Hortonville where appropriate. b. Outdoor storage yards for materials, supplies, merchandise or equipment may be required to be screened from public view behind a visual barrier for the purpose of screening same from view from neighboring property and public streets within the Business and Industrial Park. c. Outdoor storage areas and loading areas shall be hard surface paved and dust free. N. NUISANCES; POLLUTION: No Owner, Lessee or Licensee of property in the Business and Industrial Park shall create or allow to exist a nuisance, as defined by Wisconsin Statutes now in effect or as amended, on the property within the Business and Industrial Park. In addition no rubbish or debris of any kind shall be placed or permitted to accumulate upon or adjacent to any site and no odor(s) shall be permitted so as to render any site or portion thereof unsanitary, unsightly or offensive. In addition no use or operation shall be conducted in the Business and Industrial Park which is noxious, harmful to the public health, or unsightly or detrimental to others. O. PROPERTY USE: No parcel in the Hortonville Business and Industrial Park may be built upon, altered, or occupied for any purpose or use unless said purpose or use has been approved by the Planning & Zoning Commission and Village Board. The kinds of uses deemed appropriate include general business and office uses, manufacturing, distribution and limited retail operations. No operation, process, manufacturing, or building use that creates or produces excessive noise, light, odor, smoke, vibration, heat, industrial waste or any other excessive measurable external nuisance shall be permitted in the Hortonville Business and Industrial Park. P. PROPERTY MAINTENANCE: All real property in the Business and Industrial Park, whether occupied or unoccupied, and any buildings or other improvements placed thereon, shall at all times be maintained in such a manner as to prevent their becoming unsightly by reason of unattractive growth or the accumulation of rubbish or debris thereon, or unsightly condition of improvements thereon. No building or improvement in the Business and Industrial Park shall be permitted by its Owner, Lessee, or Licensee, to fall into disrepair, and each such building and improvement shall at all times be kept in good condition and repair and adequately painted or otherwise finished. If in the opinion of the Village, proper maintenance is not being undertaken, the Village may, at any time after thirty (30) days of written notification to the Owner, contract for the completion of such maintenance work. The Village shall have the right to bill the Owner or place a special charge on the property tax bill for such costs plus ten percent (10%) for administration. Q. DRAINAGE CONTROL: No land shall be developed and no use shall be permitted that results in flooding, erosion, or sedimentation to adjacent properties. All runoff shall be properly channeled into a storm drain, watercourse, storage area, or other storm water management facility. Infiltration on each property is encouraged. Alternatives other than gutter and downspout systems shall be considered relative to impacts on roadway and vehicle parking areas and integration with other lot-based and Business and Industrial Park storm water management systems, structures and objectives. The Planning Commission may, in its discretion, require on-site detention or sedimentation. Improvements which direct storm water runoff to the detriment of other property owners are prohibited. Each owner shall take the necessary precautions to ensure that storm water drainage from the Owners’ lot is not contaminated with motor vehicle fuels and lubricants, salt, or other chemical compounds that are detrimental to aquatic life. R. LIGHTING: Parcels abutting Outlot 1 and the fifteen (15) foot landscape, drainage and utility easement shall be required to use cutoff lighting fixtures. Drainage and erosions control submittals shall follow the standards prescribed by the Construction Site Erosion Control Ordinance, Chapter 15 of the Village of Hortonville Code of Ordinances. B. TIMING: The Village of Hortonville shall approve or disapprove plans, specifications and detail in writing, within thirty (30) days from the receipt thereof. If the Village fails either to post a letter of notification, either approving or disapproving final plans and specifications within the thirty (30) day period, it shall be conclusively presumed that the Village of Hortonville has disapproved said plans and specifications. One (1) set of said plans and specifications shall, with the approval or disapproval endorsed thereon, be returned to the person submitting them and the remaining set shall be retained by the Village for the Village’s permanent files. Approval may be subject to specific conditions or modifications. C. OBLIGATION TO FOLLOW PLANS: The approved plans/specifications shall be followed strictly. Any failure to comply with the plans shall constitute a breach of these covenants. D. VARIANCES: The Village is authorized to grant variances from any provision of this Declaration where such variations will assist in carrying out the intent and spirit of this Declaration and where strict application of the provision would result in a particular hardship to the person seeking a variance. E. LIABILITY: Neither the Village of Hortonville, nor the Village’s assignees or successors as hereinafter provided, shall be liable for any damage, loss or prejudice suffered or claimed by any Owner, Lessees or Licensee, or by any such Owners’ architect, engineer or contractor, who submits such plan for approval. A. DIVISION OF PARCELS: All property divisions shall follow the established land division procedures. No parcel located within the Business and Industrial Park shall be further divided into parcels smaller than one and one-half (1-1/2) acres without prior written approval of the Village. In no instance shall such division create a parcel which is not developable in compliance with this Declaration or which would violate any applicable state and local laws, ordinances or regulations regarding the subdivision of lands. B. COOPERATION FOR EASEMENTS: All owners and occupants of parcels within the Business and Industrial Park shall cooperate with the Village and other owners and occupants of lots within the Business and Industrial Park in the planning and granting of all necessary and reasonable easements for gas, electric, telephone, sewer, water, drainage ditches, access roads, railway spurs, and loading tracks to the extent that such easements do not interfere with existing uses of the land or unduly restrict future intended uses. Nothing contained in this section shall be deemed to require the purchaser to grant any specific easement, nor grant easements or rights-of-way, without reasonable compensation. A. VILLAGE RIGHT OF FIRST REFUSAL AS TO VACANT LAND: In the event any owner of land in the Business and Industrial Park elects to sell any portion which is not being used in connection with the business or industry of the owner, or which the owner desires to sell separate and distinct from any sale of the business or industry being conducted by the owner, the same shall first be offered for sale, in writing, to the Village at the same price and on the same terms as the property may be sold by virtue of an acceptable bona fide offer to purchase received by the owner, or its legal representatives, successors, heirs or assigns. The Village shall exercise its right of first refusal within sixty (60) days of receiving written notice of the bona fide offer to purchase. In the event the Village shall not exercise its right of first refusal in a timely manner, the owner may then sell the property on the terms set forth in the offer to purchase which was noticed to the owner. In that event, the Village’s right of first refusal shall then terminate as to that pending offer. However, the right of first refusal shall continue for each and every subsequent sale by an owner. It is intended that this right of first refusal shall apply only to the resale of vacant land. Any division of parcel shall comply with the minimum parcel size requirements required herein or by Village ordinance. In the event of acceptance of such offer by the Village, conveyance shall be by Warranty Deed, free and clear of all lens and encumbrances created by act or default of the owner. Regardless of the Village’s actions herein, the use of the land by any subsequent owner shall be subject to applicable zoning, ordinances, restrictions and regulations of the Village and the Business and Industrial Park Restrictive Covenants relating to the use of the land at the time of the sale. B. RECAPTURE OF LAND FOR FAILURE TO IMPROVE: If a purchaser of land in the Business and Industrial Park has not or cannot start construction and improvements on the land purchased within eighteen (18) months of the date of payment of the purchase price, has not completed construction within thirty (30) months, or has failed to comply with the plans or specifications approved by the Village, the Village of Hortonville shall have the right to repurchase the property from the purchaser at the original purchase price without interest less the estimated cost of restoring the property to the condition which it was in at the time of purchase; however the Village may at its option accept the parcel and the improvements thereon in which case restoration shall not be required. 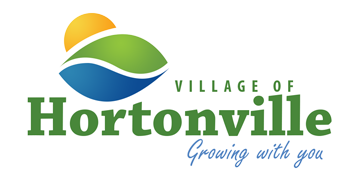 Any extension of time to permit construction and improvement must be mutually agreed upon in writing between the Village and the purchaser and adopted by Resolution of the Hortonville Village Board. If the Village reclaims the land through non-performance by the purchaser as provided herein, purchaser shall convey the property to the Village by Warranty Deed, free and clear of all liens and encumbrances created by act of default of the purchaser. The Deed shall be delivered to the Village upon payment of the amounts set forth herein. If the Village reclaims the land through non-performance by the purchaser, the Village may sell the land to any party and the subsequent purchaser shall be subject to applicable zoning, ordinances, restrictions, and regulations of the Village and the Business and Industrial Park Protective covenants relating to the use of the land at the time of the sale. C. AMENDMENT OR MODIFICATION: The provisions of this Article (Article VI) may be amended or modified only by a majority vote of the Hortonville Village Board and such amendment shall not require the approval or action of the other property owners within the Business and Industrial Park as set forth in Article VII of these protective covenants. A. COST OF CORRECTION/FINES: If any Owner, Lessee, or Licensee in the Business and Industrial Park fails to conform to the provisions of this Declaration or the plans/specifications as approved by the Village, and such failure to conform continues for thirty (30) days after written notice from the Village is delivered to such Owner, Lessee or Licensee, specifying such failure to conform, thence the Village may, without further notice, perform such acts and take such action directly upon the property of the non-conforming Owner, Lessee, or Licensee, and said Owner, Lessee or Licensee shall be responsible for, and upon written demand shall immediately pay to the Village all costs incurred by the Village in correcting and/or curing such failure to conform, and such costs shall bear interest at the maximum legal rate allowed by law from the date of correction and/or curing by the Village until paid. In addition, a fine of $100.00 per day shall be assessed against the property for each day the failure to correct and/or cure is allowed to continue after notice as above set forth is given. B. INJUNCTIVE RELIEF: If any Owner, Lessee or Licensee, or their employees, agents, contractors or invitees shall violate or attempt to violate or permit to be violated any of the provisions thereof or the plans/specifications approved by the Village, the Village of Hortonville shall have the right to prosecute any proceeding in any court of competent jurisdiction, against such person or persons, violating or attempting to violate, or permitting to be violated, any such provision, to prevent and permanently enjoin such violation and to recover damages for such violation. The Village may without notice apply for and obtain a temporary injunction, if deemed necessary by the Village to prevent any violation hereof. All Owners, Lessees Licensees, Agents, Employees, Contractors, invitees and their heirs, successors or assigns consent to such proceedings being prosecuted in Courts in Outagamie County, Wisconsin. The foregoing enforcement remedy shall be in addition to and not in limitation of any legal or equitable remedy available to the Village under the laws of the State of Wisconsin. All costs including actual reasonable attorney’s fee, incurred by the Village in any legal proceeding which results in a judgment order or decree in favor of the Village, shall be borne in full by the defendant in such proceeding. Failure by the Village of Hortonville, its successors or assigns, to enforce any restriction, covenant, condition or agreement herein contained shall in no event be deemed a waiver of the right to do so thereafter as the same breach or as to any breach occurring prior or subsequent thereto. Invalidation of any one or more of the provisions of this Declaration by judgment or court order shall, in no way affect any of the other provisions hereof which shall remain in full force and effect. Notwithstanding any other provisions hereof, any Owner, Lessee or Licensee of land in the Business and Industrial Park shall have the right and standing to take legal action for the enforcement of the covenants in the event the Village of Hortonville fails to do so, provided the Village shall first have been given written notice of the intention to take such action together with a reasonable stated period of time in which the Village may commence enforcement of these covenants as to the matters set forth in the notice, which period shall be reasonable under the circumstances, and further provided that within said period the Village shall have failed to initiate such enforcement action. C. SPECIAL CHARGE: As a separate and distinct remedy for the breach of this agreement or covenants, the Village of Hortonville may place a special charge the property tax bill for which the Village incurs costs. See also Article III P.
D. SEVERABILITY: If any provisions of this Declaration are held to be invalid by any court, the invalidity of such provision shall not affect the validity of the remaining provisions. E. ORDINANCES: If the Village’s Code of Ordinances and land use restrictions differ from those set forth in this Declaration, then compliance with the more restrictive provisions shall be required. F. AMENDMENTS: Initially, this Declaration or any covenant, condition or restriction contained herein, may be terminated or amended, as to the whole Property or any portion thereof, at the sole discretion of the Village. At such time as eighty percent (80%) of the total square footage of the Property, exclusive of areas dedicated for streets, parks, storm water management facilities or other public uses, has been conveyed to persons other than the Village, then this Declaration, or any covenant, condition or restriction contained herein, may be terminated or amended, only with the written consent of the Village and the owners of two-thirds (2/3) of the square footage of the non-dedicated portion of the Property not owned by the Village. At such time as the Village ceases to have any interest in the Property, then this Declaration, or any covenant, condition or restriction contained herein, may be terminated or amended, only with the written consent of the owners of two-thirds (2/3) of the square footage of the Property. Any written consent described in this section that terminates or amends this Declaration shall be in recordable form and shall take effect upon recordation. G. TERM: The benefits and burdens of the covenants, conditions and restrictions of this Declaration shall run with the land and shall bind and inure to the benefit of, any owner, tenant or occupant of any land subject to this Declaration, their successors or assigns. This Declaration shall continue in effect for a period of twenty (20) years from the date this Declaration is initially recorded. After the expiration of such twenty (20) year period, this Declaration shall be automatically extended for successive periods of ten (10) years each, unless terminated as provided for above. H. GOVERNING LAW: This Declaration shall be governed by the laws of the State of Wisconsin. Each Owner of any property in the Business and Industrial Park, by acceptance of a deed therefore, whether or not it shall be so expressed in such deed, is deemed to covenant and agree to pay to the Village of Hortonville all sums which may become due the Village from such Owner pursuant to the provisions of this Declaration. The assessment of any such sums as herein provided, including interest, cost, penalty and actual reasonable attorney’s fees for the enforcement of the same, shall be a charge on, and shall be a continuing lien upon the property against which such assessment is made. In the event same is not paid upon demand said assessment shall be placed on the tax roll as a special assessment against the property in question. Any written notice or demand required pursuant to these covenants shall be deemed to have been delivered to any Owner, Lessee or Licensee upon the depositing of the same in the United States mail, postage prepaid, directed to the address of the Owner, Lessee or Licensee shown on the last recorded instrument conveying title in and to such property in the Business and Industrial Park. The Village of Hortonville specifically reserves the right herein to add additional properties to the Business and Industrial Park, from time to time, which additional properties may be now owned or hereafter acquired by the Village. All additional properties added to the Business and Industrial Park shall be contiguous to the original Hortonville Business and Industrial Park as described in Exhibit A attached hereto. Upon compliance with all rules, ordinances and regulations of governmental authority relating to the platting and/or subdividing of land, and upon filing for recordation of the map, plat or survey of the additional properties as required, and with indication thereon that the additional properties are intended to be part of the Business and Industrial Park, the Village shall file or record a statement in the public records to the effect that the additional properties are to be encumbered by and are to be developed in accordance with these covenants, whereupon this Declaration of Restrictive Covenants shall extend to, and the additional property shall be subject to, all of the provisions of this Declaration; all as part of a general plan for the development, improvement, sale and use of the Business and Industrial Park. These covenants shall thereupon run with the additional properties and every part thereof for all purposes, and shall be binding upon and inure to the benefit of the Village and all Owners, Lessees and Licensees, and their successors in interest as set forth in this Declaration; all as if the additional properties had initially been part of the Business and Industrial Park. The additional property shall be included in determining the requirements for amendments pursuant to Article VII(F). The covenants shall thereupon, encumber the entire Business and Industrial Park together with the additional properties, whether or not contained in any conveyance of property with the Business and Industrial Park; and they shall not be extinguished as to any property by foreclosure, execution sale or tax sale. IN WITNESS WHEROF, the Village of Hortonville, Wisconsin has caused this DECLARATION OF RESTRICTIVE COVENANTS to be adopted and executed by their respective officers and officials, duly authorized the day and year first above written.